It's been a long time since I've created a comprehensive new body of work, so I am excited to present The Flower Thief. 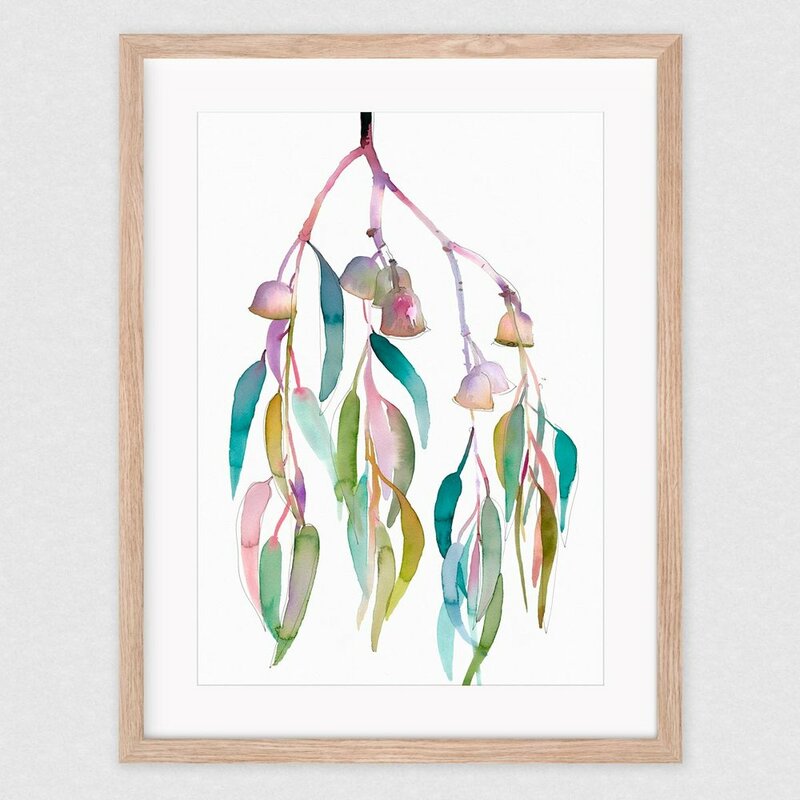 A 6 piece collection of botanical inspired prints, each print is an edition of 50 printed on archival paper. I was working on a commercial illustration job painting native flora and other flowers and foliage. I really enjoyed myself, so I thought why not explore this some more! At the same time this was happening I discovered a new paper that changed the way I applied watercolour. It's double-sized, meaning it has been treated twice to prepare it for watercolour application and it holds the colour so deliciously. I was obsessed. So the stars aligned and I was ready to explore a new subject with a new blank canvas. This may sound trivial! But you fall into habits so easily and I hadn't tried new things in a while. Note to self: try new things! So the concept for The Flower Thief was born. I'd pinch flowers out of friends gardens and sometimes buy them from local flower farms and take them to my studio and paint them. Working with the real thing helped me with form (one of my weaker principals) and it is so much more relaxing than working from photos. You don't worry so much whether it looks right or not! Out of the numerous paintings created I picked 6 final pieces for creating the print collection out of. I'm usually a big fan or naming prints and find it an enjoyable part of the process, but this time around I think I'd used everything up in just creating them. So the names are simple. If you are around on the Surf Coast and interested in viewing the new pieces, they are hanging up in the awesome Ravens Creek Farm - another delightful coincidence on this little journey of mine! A part of my 'Flying Girl Series', secretly this one is my favourite. Available exclusively from Signed & Numbered. An edition of 40 on delicious Hahnemuhle etching paper. Thanks for waiting/putting up with my tardiness. I haven't produced a new print in a really long time. I've also changed my format a little and have reduced the limited edition to just 20. So they won't be around for long.